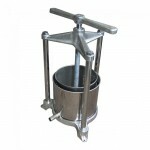 Heavy duty, old-style Ratchet Press, a longtime favorite of winemakers. 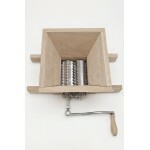 Heavy painted cast iro..
Perforated Stainless steel basket uses screw type handle. Painted metal frame is hinged to swing ove..
NEW LOWER PRICE! 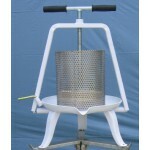 3 Liter Aluminum / Stainless Steel Fruit Press. 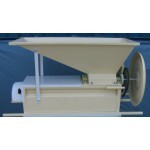 Small screw-style press for grapes..
A small, one-person crusher. 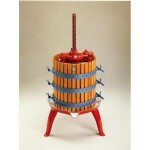 Made of select hardwood, aluminum rollers and stainless steel shafts wh..
Before fermentation or pressing, grapes must have the stems removed and the fruit broken open or cru.. 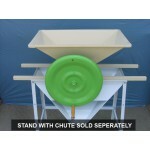 The painted stand with chute is a great convenience when added to one of our Grape Crushers. The chu..